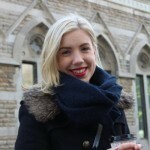 Amy is a philanthropy and strategic communications professional working in community health in Toronto, ON. Having worked in the non-profit and charitable sector as a young professional over the last four years, I’ve started to gain a better sense of how personal identity and diversity factor into people’s experiences with these organizations and causes. A client or donor’s investment, I have found, is strengthened and more personalized when they learn that the people behind the mission, vision, and values of that cause not only work for it, but represent it. Sometimes you see a dimension of diversity mirrored back at you – it could be outwardly visible – and sometimes you don’t see it. A person may not always have a visible sign of diversity – perhaps they live with a mental illness or struggle with mental health; maybe they look older or younger than they truly are; they may uphold religious beliefs that you’re unaware of; they could be of bi-racial or multi-racial ethnicity; it’s possible that someone is living with a learning disability; a person could be deaf or blind but not have a cochlear implant visible or have a mobility cane or a guide dog. These people could be your clients, donors, or colleagues in a non-profit or charitable organization. Mental or physical ability, age, religion, race, gender identity, disability – these are all primary dimensions of diversity that are often very closely tied to our sense of identity. But many of these dimensions are not visible. Although we may not see them in front of us, people at our schools, workplaces, volunteering outlets, and in our communities have diverse identities not visible to us. So what does this mean for those of us working in the charitable and philanthropic sector? As a consultant for the YWCA of Metro Vancouver, I strove to understand family-oriented service delivery through the eyes of potential clients in order to offer the best recommendations on a social enterprise; as a program coordinator for the Canadian National Institute for the Blind, I tried to put myself in the shoes of the campers and students living with blindness who would fly to Toronto from across Canada to learn about leadership development; as a communications and fundraising professional with the MS Society of Canada and more recently the Foundation Fighting Blindness – I’ve tried to extend my own experience living with an element of diversity into offering a compassionate understanding towards clients, volunteers, staff, and donors, who often have a personal connection to the cause. The people I worked with and served at these causes all came from a variety of backgrounds and experiences, as you can imagine – but start to factor in those invisible dimensions of diversity and these people’s lives become far more complex to understand. In our sector, we are hired to create and develop programs that help people, to sell priorities of a cause to donors so that they understand how they can make an impact, to improve the bottom line of the organization by raising funds, awareness, and long-term engagement. In my experience, opening my mind to elements of invisible diversity has helped me become a better fundraiser. Being a person who is legally blind has often felt secondary to the fact that I am working in a sector where I need to help others – but lately, I have been sharing my experience in order to better relate to people. Although I don’t use a guide dog or mobility cane, I see the world differently. I was working at a fundraising event recently and was chatting with a lady by the silent auction tables – I ended up telling her I was visually impaired and moments later she disclosed the same. Her body language and comfort level opened up instantly – she realized I was someone who understood a bit about what her life was like day in and day out. Outwardly, neither of us showed visible signs of living with blindness, but giving voice to it with a stranger opened up a meaningful conversation we might not have otherwise had. I share this bit of personal experience because as people working in philanthropy, I believe it is important for us to look past the roles of fundraiser and donor to start to understand what connects us. Disclosure is a very personal thing and I don’t mean to say that everyone should open up about their entire life experience and all of their dimensions of diversity to everyone they meet. I do think, however, that when we interview people for work in our sector, when we meet with a client or a donor for coffee, or when we sit down to develop a program meant to serve others – we will have far more impact if we remember that the people we hope to improve the lives of are living with complex elements of diversity (visible and non-visible), just like we are. This means being thoughtful about intersectionality in the work that we do — and how people experience diversity differently through the intersections of things like race, gender, ability, religion, etc. In this context, experiencing diversity is more complicated than one distinct factor — it is the experience of multiple factors within our larger social systems and their inherent structures of power. In my line of work, my invisible diversity has made me more aware and open to people’s different experiences. Often it is those elements of diversity that a person might live with that have led them to your cause as a client or donor. Being able to embrace and relate to that diverse experience on some level, I think, is what truly engages people with a cause. When we can demonstrate that the people we’ve hired to work for non-profit and charitable causes respect and represent the diverse experiences of those we strive to help – I think we will be closer to inclusivity and closer to the people in the world around us.